Olivia Cox: Hello and welcome to Personal Profiles with me, Olivia Cox. Today I’m joined by Paul Mahoney from Nova Financial. Paul, tell me a bit about why you got into property. Paul Mahoney: Well, my background originally was financial planning. I was involved in a large financial planning company in Australia. We were one of the first companies to incorporate direct property as the key part of clients’ portfolios because we thought it was probably a better investment than most other options out there. I suppose that’s what originally piqued my interest, and we went from there. Olivia Cox: How long have you actually been working in the property industry? Paul Mahoney: Seven years now from that original sort of background and advising clients on what worked best for them. Olivia Cox: You said you worked for an Australian bank. When did you come over to London? Paul Mahoney: I’ve now been in London for three years. I ran a fairly similar company to what I’m running now in the UK and applied that business model to London and the UK. Olivia Cox: Have you found lots of similarities between property? Paul Mahoney: Yeah. They’re very similar. Obviously learning the different areas was new, but all the principles and the fundamentals was very transferable. Olivia Cox: Outside of property, which you are obviously very passionate about, what interests do you have? Paul Mahoney: What interests do I have? Paul Mahoney: Well, obviously property. I’m a property investor myself. Olivia Cox: Outside of property. Paul Mahoney: Okay. Sport. I’m a big sports fan. My wife, family. Work and that kind of takes up all my time, I think. Olivia Cox: Yeah, I’m sure. What are your personal goals and ambitions that you still haven’t yet achieved? Paul Mahoney: Personal goals. I’d like to expand my company, take it to the whole of the UK, which we kind of currently are, but sort of take that to the next level; and I suppose live a happy, healthy life. Olivia Cox: In terms of giving back and sort of educating other people about property, what kind of things are you doing? Paul Mahoney: I’m currently writing a book. It’s titled The Buy to Let Revolution. It’s being published in September. 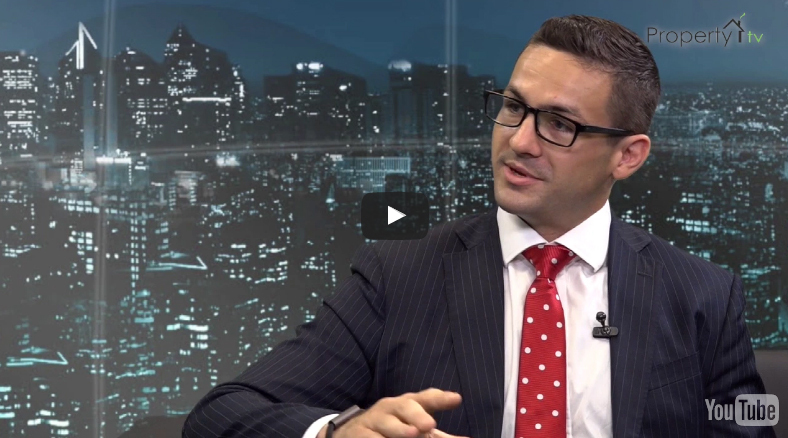 That will be nice to explain to a broader market my approach or our approach to property investment and how it can be used for financial freedom, so I suppose it enabled me to pass on some of my knowledge to other people more broadly. Olivia Cox: How do you think working in property has changed your life? Paul Mahoney: I believe just having a better understanding of how to achieve financial freedom and how to help more people. I’ve written a range of educational books, smaller e-book type books that have been read by thousands of people, so that’s been good to be able to help people out. Olivia Cox: In terms of financial freedom which you mentioned, is that something you really noticed straight away when you went into the property market? Paul Mahoney: I noticed the potential straight away. As I say, my background is in financial planning. I’ve studied financial planning and studied an MBA, and I’ve got over a decade of specific knowledge in that area. So applying that to property, it became very obvious that certainly my belief is it is the best option for achieving financial freedom over the long term. Olivia Cox: Will you continue to work in property or do you see the business going elsewhere? Paul Mahoney: Yeah, most certainly. At the moment, definitely. Property seems to be the best option. There’s a lot of interest in that area. There’s a few changes taking place at the moment, so the need for advice when it comes to investing, not only on the right investments but the right structuring and how best to go about that for anyone’s personal situation, is becoming increasingly important. Olivia Cox: Do you find that people come to you for advice as much as they come to you to actually invest their money? Paul Mahoney: Yeah. A big part of it is obviously finding the right investment. That’s important, and different things work for different people. But then there’s also how to structure, what the long term goals are. Often people need guidance on what’s best for them and how they can achieve what they are working toward. Olivia Cox: Sounds like a really busy life. Paul Mahoney: Yeah, it keeps me busy. Olivia Cox: Is there any ever opportunity to switch off? Paul Mahoney: Yeah. I try to switch off when I can, obviously try to get away every now and again. I’m going skiing on the weekend, so that’s a bit of a release. Olivia Cox: I’m very jealous. Where are you going? Paul Mahoney: That should be good fun. Olivia Cox: All right, Paul. Thank you very much. Olivia Cox: That was Personal Profiles. Olivia Cox: Hello and welcome to Company Profiles with me Olivia Cox. Today I’m joined by Paul Mahoney of Nova Financial. Tell me a bit about Nova Financial. 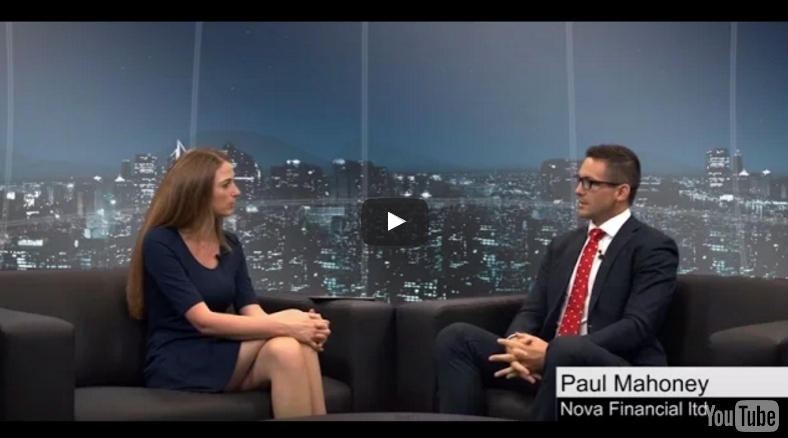 Paul Mahoney: Well Nova Financial are a privately owned and independent property and finance advisory company. We’ve essentially applied the independent financial advisory model to specializing in property and we advise clients on all aspects of the process of investing property and thereafter achieving financial freedom through property investment. We first help people to decide if property investment is right for them and what is it they’re hoping to achieve. If it is then we help them put together a criteria for their current situation, their goals and their preferences. We then apply that criteria to the market, we do all the research and due diligence that goes into finding the most suitable investments. We’ve a very strong network and strong relationships in the market to get access to the best of what’s out there. Then we provide all that research to our clients to enable them to make a more confident and educated investment, to essentially provide more clarity. Once we’ve found the right investment or investments, we help them through the acquisition process. We also organize the finance for them, as we’re also mortgage brokers. Thereafter, we review their situation, help them reinvest when it makes sense to do so. Olivia Cox: When did Nova Financial start to operate? Paul Mahoney: We started operating in October 2014, originally as a brand of another business and then split the business off in early 2015. Since then the business has grown very quickly. We’ve recently relocated and doubled our space in Central London. We’re hiring so that we can help more people, really. Olivia Cox: How exactly has the company evolved in those few years? Paul Mahoney: Well essentially it’s evolved from myself and four business partners, which is now the management team in the business. We have offices in London, Birmingham and Manchester. We’re predominately London-based but we deal with clients all over the country. We found that our offering has met the market really well because it is somewhat unique. Olivia Cox: Have you found that the actual industry that you’re working within has changed much over that time? Paul Mahoney: It has. There’s been some major changes since November 2015. Such as tax changes, there’s also been some recent changes to finance and the way that lenders look at serviceability of buy-to-let mortgages. That’s increased the need to seek advice, really. It’s becoming more difficult for people to have the confidence that what they’re investing in or the way they’re investing is right for them. We can help give that confidence. Olivia Cox: How do you see the company growing over the next few years? What are your goals? Paul Mahoney: We’d like to establish more of a presence all around the country, have a physical presence all around the country, although we do deal with people all over the UK already. So, continue to build the business, perhaps diversify into different areas of property or even other types of investments, to provide more support to our current growing client base. Olivia Cox: Is there a particular area of the UK that you’ve identified that you’d like to have a base next? Paul Mahoney: Well, our clients have been predominately investing in the North-West, so Manchester and Liverpool is the two main areas that our clients have been investing lately. That means that myself and my business partner spent a lot of time up there meeting with developers, vendors and making sure we have a very clear understanding of what’s happening and getting access to the better opportunities. That’s probably a fairly natural progression, to have more of a presence up there in the near future. 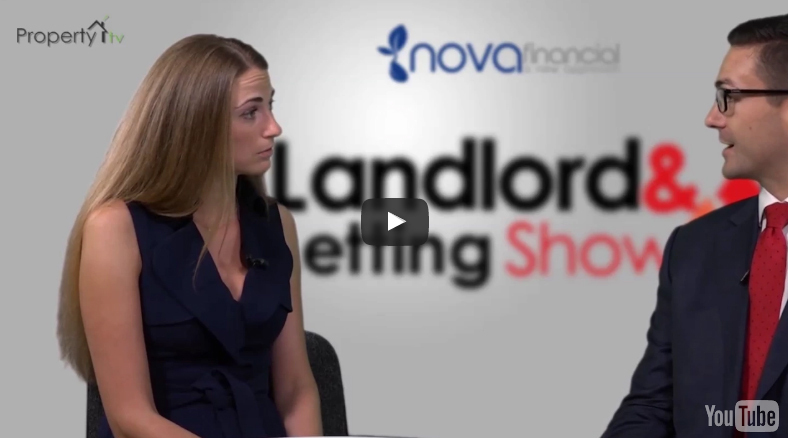 Olivia Cox: What made you decide to do residential and commercial property investment? 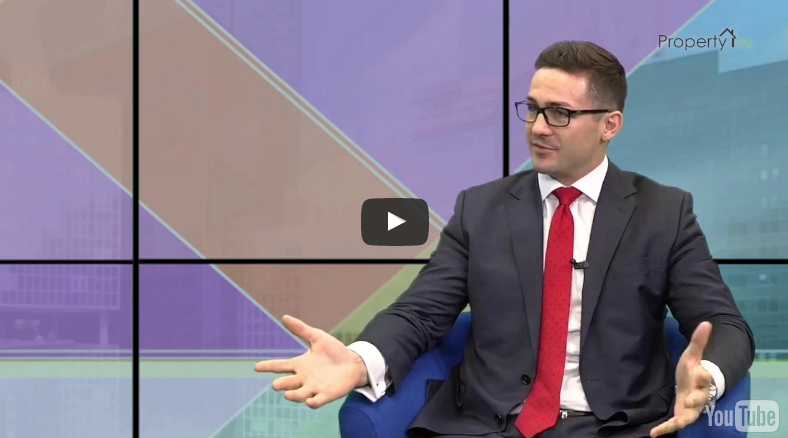 Paul Mahoney: Well when you compare it with other investment options such as shares and interest-bearing type investments, it’s really the only type of investment asset class that you can take high levels of borrowings at low interest rates for the long term. It really does stand out massively as an investment that doesn’t necessarily need to set the house on fire as far as returns, but that still gives you a fantastic return on the money that you invest. Olivia Cox: How do you help the average-Joe type investor? Paul Mahoney: Well it differs with clients. We deal with first-time investors through to high net-worth investors and both of those types of people have different needs. Essentially what we do is we help them understand what it is they’re working toward, give them more clarity of the end goal and then help them fill the gaps in between. In finding the right investments and giving them the confidence that that’s the right investment for them, you know there’s thousands of options out there and property traditionally has been a very do-it-yourself type investment, but any individual has limited resources. We have very strong resources available to us, this is what we do all day every day and we like to think we’re quite good at what we do. We help people narrow those thousands down to one, two or 10, whatever works for them. Olivia Cox: What actually makes Nova Financial different? Paul Mahoney: The fact that we’re independent and we have nothing to sell. We don’t have a book or a list of properties or products. The property industry tends to be very sales-focused, for example an estate agent is maybe selling 10 properties and although he might be a great guy, he’s only ever going to sell you one of those 10 properties. Of course, it’s very difficult as an individual to know what he’s selling you, is that actually right for you and whether his 10 is the best out of the thousands. Our big point of difference is the fact that everything we do is very bespoke to the individual in finding the best thing that works for them and what they’re working toward. Olivia Cox: Sure, and how have people reacted to Nova Financial? Paul Mahoney: Really well I’d say, our success kind of speaks for itself. Being in business now for just over two years and bringing quite a large client base. At the moment our clients are investing in around 20 or 30 properties a month, so that the business is growing quickly and we’re getting lots of referrals now, which is great because we get to work with lots of like-minded people. Olivia Cox: Brilliant, Paul, thanks so much. That was Paul Mahoney from Nova Financial.